At this stage of development, Dubia nymphs straddle the line between youth and maturity. 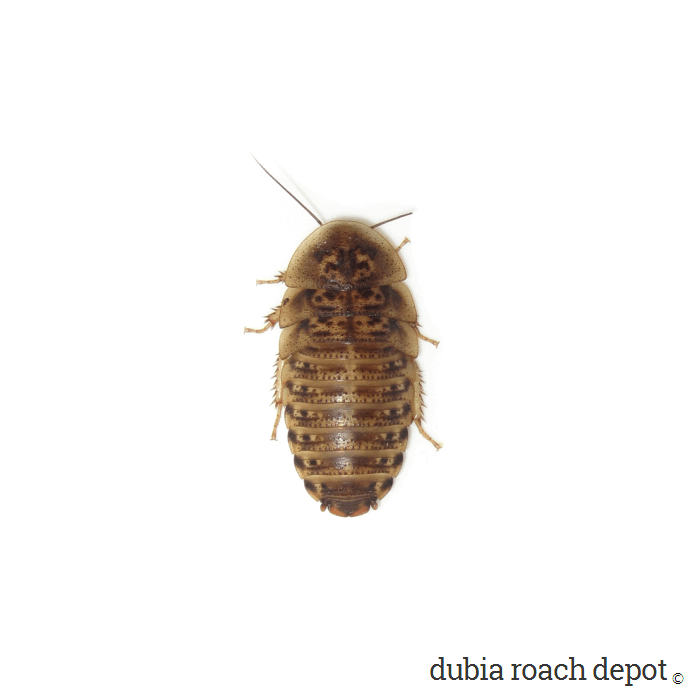 They're still soft-bodied and easily digested, and they contain all the nutrition Dubia roaches are famous for. 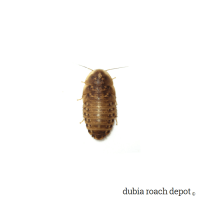 ¾-inch Dubia roaches are generally a good choice for medium-size insectivores. Large chameleons, small tarantulas, small to medium bearded dragons, and other similarly sized animals tend to do well with this size. They’re also great for animals that like action. ¾-inch Dubia have grown out of the shy nymph stage and are much more active than smaller roaches. This is not to say they’re “aggressive” by any means. They aren’t. They just tend explore more than smaller nymphs. They’re faster, and they’re stronger too. This makes feeding animals that like some action a little easier and a bit more fun. If this is the right size and your animal needs a little extra stimulation to elicit a feeding response, these are a good choice. 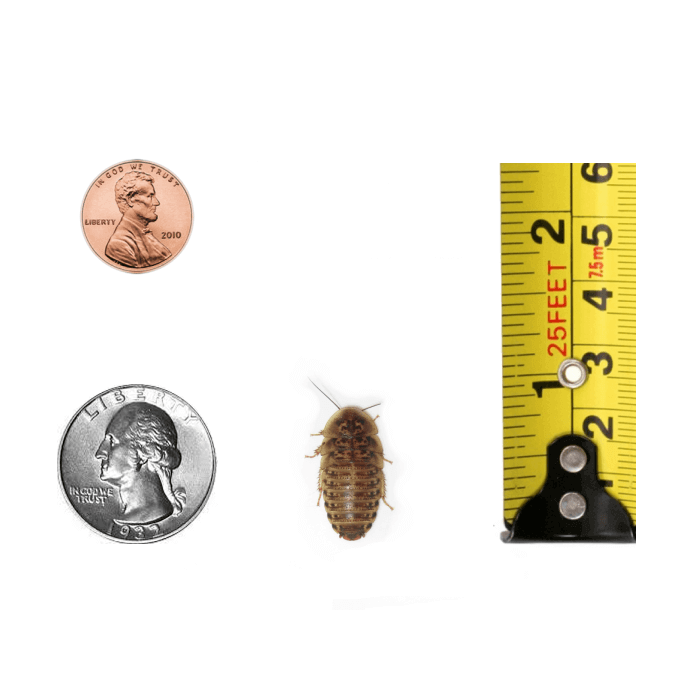 At about two months of age, these Dubia have reached nymph middle-age. They’re starting to resemble mature nymphs, yet they keep many of the traits that make young nymphs such excellent feeders for small, growing animals. One of those traits is digestibility. While all Dubia roaches are low in chitin relative to other feeders, their exoskeletons toughen up for added protection as they age. This hasn’t really happened yet with ¾-Inch Dubia. They’re still relatively soft-bodied, which in their capacity as feeders means they offer more complete digestion and more nutrition per ounce. This is just what young, active, fast-growing animals need. The extra nutrition benefits all animals, but particularly ones that need it to fuel rapid growth or recover from an injury or illness. At this point it’s probably redundant to say Dubia roaches are widely considered the healthiest feeder insect. And a growing body of scientific literature backs that up. As it turns out, food is a package deal. With the good also comes the bad. 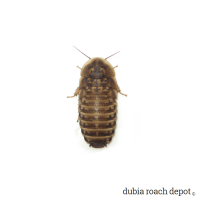 Dubia roaches have of the good and less of the bad. Have a look! 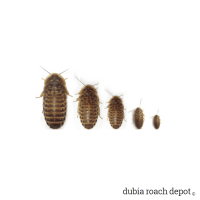 While our ¾-Inch Dubia roaches generally measure about ¾ inch, some variation is normal. They may be slightly larger or smaller, depending on hydration and feeding status. If necessary, altering their size is easy: Feed and water them for a day or two if they are a bit too small, or gut load them. Withhold food and water for a few days if they are too large.